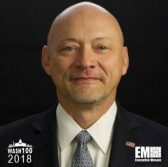 David Young, a 2018 Wash100 winner, has been promoted to senior vice president of CenturyLink’s strategic government group, the Arlington, Va., division announced Wednesday. Young’s promotion furthers the division’s integration efforts and demonstrates the importance of strategic government to the organization, the telecommunications firm added. Previously, Young held the role of regional VP for strategic government. The group interfaces with federal agencies, educational institutions, regional and national public consortiums, the defense industrial base and systems integrators. On Tuesday, Young and Ed Morche, CenturyLink’s president of strategic enterprise and government markets, met with members of Congress to discuss extending the General Services Administration’s 2020 deadline for federal agencies to transition to enterprise infrastructure services. Young played a key role in CenturyLink’s $34 billion acquisition of Level 3 Communications, which closed last November. He has over 30 years’ experience in the public sector.